SECRETFORTS: In Good Company: Freeman Transport's Troops. 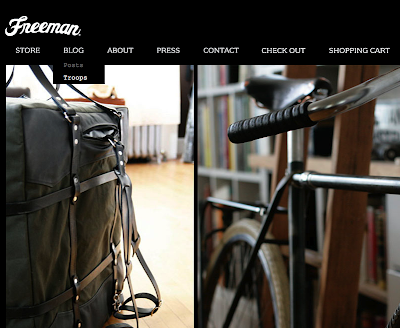 Freeman Transport has, just today, re-vamped their site, adding to their blog a TROOPS page. 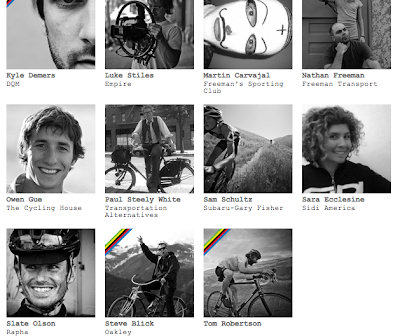 Designed as a community built around the simple and wide ranging love for the bicycle, correspondents include racers, industry folks, and yes, even yours truly. 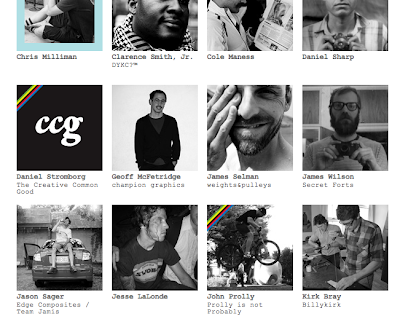 I'm stoked to have been asked to participate and to be among such wonderful company. Bookmark it now and check back for what promises to be some interesting and varied perspectives on bikes culture. Paul Steely White! Instant cycling advocacy and city planning cred. it's gonna be a good forum...lots of great voices.